I knew that the GTG was for me as soon as I read their opening paragraph. As a businesswoman working alone in the early stages of setting up my business, I felt isolated and missed that daily interaction and connection with people and colleges. I wanted to meet like-minded women that I could learn from, support and be supported and be inspired by. And this is exactly what the GTG is all about. I jumped at the chance to bring GTG to Huddersfield and am so excited to be the Huddersfield Girl Tribe Gang Boss. Our group of ladies or gang has been meeting up monthly on a Monday night from 7.30pm-9.30pm since June at Krafty Kettle in Honley. It is informal, inspirational and fun. 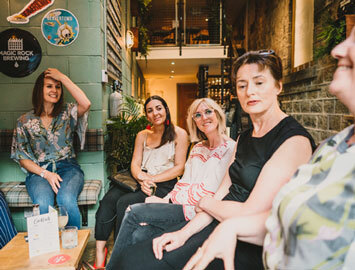 Each meet up we have a power hour lead by a female business owner who shared their story and journey and shared their skillset to giving us helpful insights and tips which can help our businesses, our brand, and our wellbeing. We are the UK's leading collective for women who work for themselves or who are aspiring to quit the 9-5. 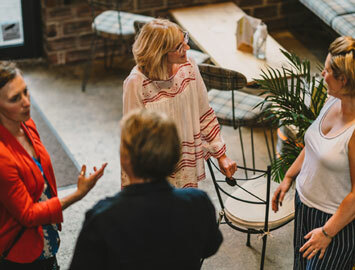 We are all about connecting you with like-minded women, empowering you, and helping you grow in confidence and knowledge, in a completely relaxed and informal way. Here at Girl Tribe Gang we know that working for yourself can be a pretty lonely place and we thought that if we could help to reduce even a tiny bit of that isolation you're feeling, well then that's going to have a positive effect on your overall well-being and success. We are a members only collective because this is about creating and building a community you can feel part of. We only welcome women who work for themselves or aspire to work for themselves because we know that when you work on our own or are just starting out, it can be an isolating and lonely place. Our ethos is about creating a space where you can feel part of a supportive girl tribe gang of like-minded women. We CONNECT you with like-minded women, EMPOWER you to be the #girlboss you want to be and help you GROW in confidence. Our monthly meet ups are a social opportunity to meet and connect with other members (in real life!) and to have some 'you time' with a tribe who get you and get your challenges, in a relaxed and friendly atmosphere, where you buy your own drinks and nibbles.